The symbol you see to the left is a QR code. 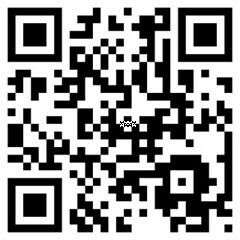 QR codes can be read by smartphones and tablets using a simple scanning application, which prompts the device to open a web link in a matter of seconds. In an attempt to reduce the amount of printed materials we produce, we've placed several QR codes throughout the museum. Each code will direct you to online resources with more information about the objects on view. Some codes link directly to our website or provide short messages about artwork in the galleries; others access video of artists talking about the piece or installing the work. 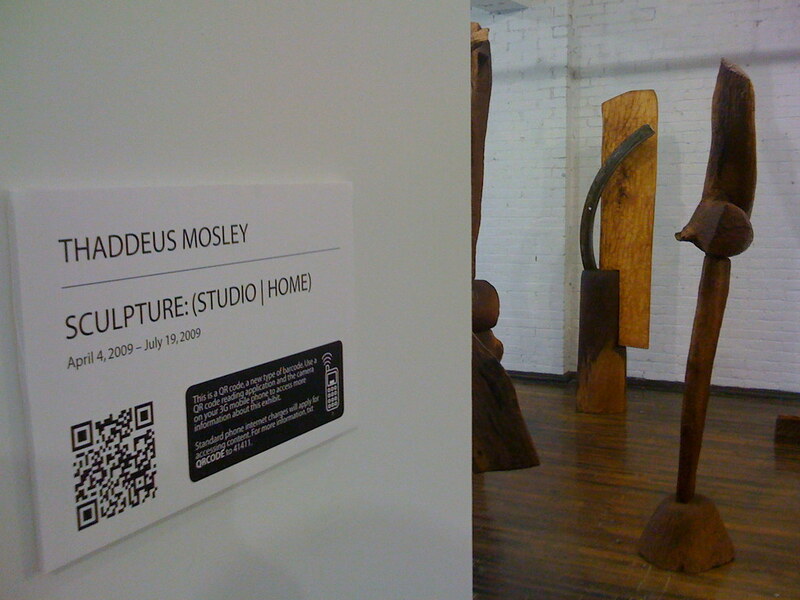 We want you to get the most out of your visit to the Mattress Factory, so visit your provider's app store to download a QR scanner today. If you do not have access to a QR scanner please see the information desk for supplemental materials, or visit the museum's website when you are near a computer. A title card containing a QR code.